Florence Emily Caroline Terry, 97, of Ursa passed away on Saturday, January 20, 2018 In the North Adams Home in Mendon. Florence was born on May 8, 1920 in Ursa to the late Charles and Rose (Dedert) Buhre. She married Edwin C. Terry on December 29, 1946 in Ursa. Edwin passed away on January 27, 2002. Surviving are; four children; Ronald (Kathleen) Terry of Quincy, Everett Terry of Carthage, Rosemary Nesbit of Quincy, Charles (Reva) Terry of Hamilton; six grandchildren, Michelle (John) Gosnell, Aaron (Wendy) Terry, Corey (Kim) Deters, Marie (Kevin) Heinecke, Amber (Andy) Hall, Emily (Dalton) Bohl; seven great-grandchildren and several nieces and nephews. She was preceded in death by; one son-in-law, J. Kenneth Nesbit and two sisters, Esther Ellerbrock and Dolores Buhre. Florence was a very active member of Zion Church in Ursa, American Legion Auxiliary and Red Hat Club. She enjoyed Volunteering for several organizations, playing cards, especially Canasta, quilting, flower gardening, knitting and putting puzzles together. She was a very loving wife, mother grandmother, great-grandmother and friend. Services will be 11:00 A.M. on Wednesday, January 24, 2018 in Zion Church in Ursa with Reverend David Schuring officiating. Interment will be in New Providence Cemetery near Ursa. Visitation will be from 10:00 A.M. until the time of services in the Zion Church in Ursa. In Lieu of flowers memorial contributions have been suggested to the Zion Church or North Adams Home. 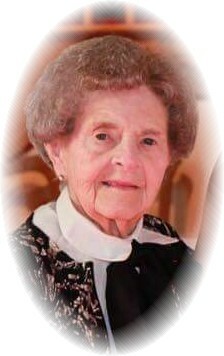 You are invited to share memories of Florence and leave condolences at www.hunterfuneralhomes.com.